No doubt, Plants vs Zombies has spread to the whole world. You also want to own a powerful Pea Shooter guarding your garden? Let’s go on checking the following plush toy. 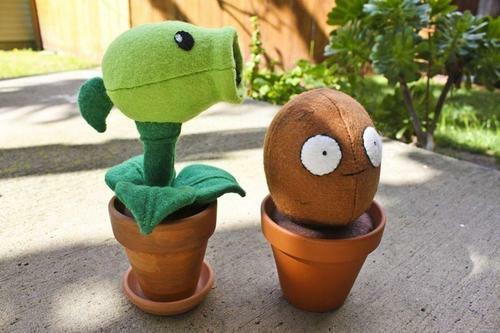 Alix, a video game artist, crafter and seller in Etsy created the sewing pattern of the cute Pea Shooter in popular video game Plants vs Zombie, and also made an original Pea Shooter plush toy according to the pattern. Just as we can see, this is a very cute plush toy that completely replicates the plant guardian in the video game. Although it’s a cute plush toy, yet Alix just sell the sewing pattern instead of the Pea Shooter plushie. Apparently for those who can’t sew, it’s senseless. But if you’re interested in the pattern valued at $30 USD, jump to Etsy for more details. We really wish the cute plushie is available. By the way, don’t miss other handmade plush toys such as the Twitter bird and the Pacman set. 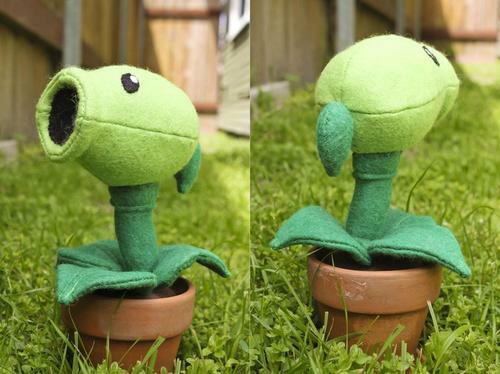 3D Printed Peashooter on your windowsill?